Long before the Arab Spring, Oscar Morales was among the first people to use Facebook to mount a successful large-scale political activism effort. 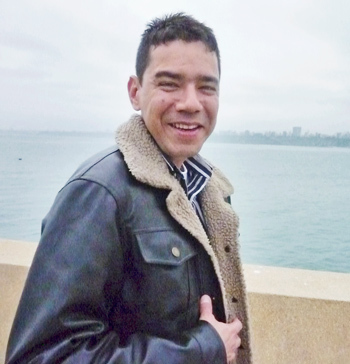 When Oscar Morales graduated college at 21 he became a civil engineer working mostly in construction in his native Colombia. Around that time he became one of the early adopters of the Internet in Colombia. 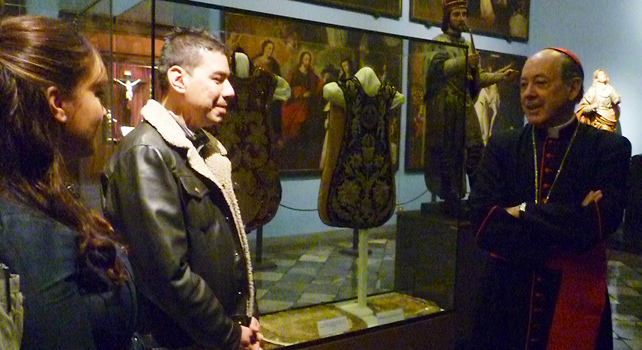 “I’m talking about 1996,” Morales says a decade and a half later. “This was the Internet in its very early phase. It wasn’t even the time of Google. It was the time of AltaVista, Yahoo. But I was a native. I knew about it the moment it started to happen in Colombia.” As Morales started to experiment with this new technology, he became a self-described computer geek. For most of Oscar’s life, a radical revolutionary network called the Revolutionary Armed Forces of Colombia–more commonly known as FARC–had been terrorizing Colombia. FARC had been responsible for an ongoing series of bombings and kidnappings for several decades. Oscar had been aware of this frightening disruption of Colombian society, but as a civil engineer, he had never thought he could do anything about it. Nevertheless, like many Colombians, he hoped someday the violence would end. Morales decided to take action. To do that he decided he should use this new exciting social network, Facebook. On January 4, 2008, he created a Facebook group called “One Million Voices Against FARC.” The group was dedicated to bringing down FARC and to demanding the release of several hundred hostages. Just hours after the Facebook group launched, Morales watched the membership climb to 1,500 members. The next day there were 4,000. By the end of the first week: 100,000. Several days later, FARC agreed to a humanitarian release of Rojas, Emmanuel, and one other hostage. Then Morales took the action offline. He invited all the online supporters to march in the streets on February 4 to press their goals. 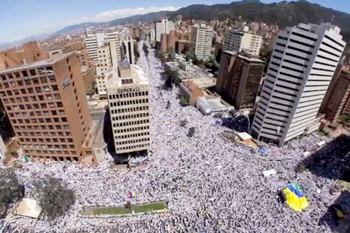 Rallies across Colombia turned out hundreds of thousands of people. Some estimates have concluded that millions of protestors took part. The national media picked up on the movement and took up the cause. Soon the movement was endorsed by Colombia’s then President Álvaro Uribe. Millions of people around the world took to the streets in solidarity protests. The momentum that continued to build was no doubt one of the factors that emboldened the rescue mission in July 2008 that finally freed Betancourt and many others. Last fall, Morales served as a counselor at One Young World, a gathering of young people from around the world who convene to make commitments to tackling global problems. There he shared the stage with Wael Ghonim, the Google marketing executive who created the We Are All Khaled Said Facebook page that played a major part in the Egyptian revolution. Although both Oscar and Wael are leaders in the world of digital social revolutionary movements, this was the first time the two had met. One of the topics of their conversation was the mix between technology and social media on the one hand, and people being ready to make a major change in their society. Neither the uprisings in the Arab spring, nor Morales’s movement were caused by technology or its availability. “FARC’s actions were unsustainable,” says Oscar today. “Public opinion was against them. People were already angry. Facebook or no Facebook, something was about to happen.” But the new use of technology and social media in 2008 accelerated the process, just as Wael Ghonim’s efforts did in Egypt in 2011. After the initial success of the movement, Morales tried to continue with a nonprofit called the One Million Voices Foundation, but he stopped when he saw that that the momentum was gone. He accepted it. “That work is done,” he said, “That was the protest. It was good, because now we know that we’re capable of that– if it’s ever needed again. Colombians know that the country can respond. The country has the passion and patriotism to make this massive mobilization.” In 2009, Morales joined the George W. Bush Institute at Southern Methodist University as a Freedom Fellow, where he studied the intersection of social movements and technology and the role technology can play in powering social change and democratic reform. One of Morales’ first duties there was to organize a conference that brought together digital democracy activists and dissidents. Earlier this year, Morales left the Bush Institute and joined Euro RSCG’s Colombia office.